First lady Melania Trump tweeted this photo from the gala for the Lincoln Medal at Ford's Theater in Washington, D.C., on Sunday, June 11, 2018. Melania Trump has attended an annual gala benefiting the Washington theater where Abraham Lincoln was assassinated. The first lady's office says she delivered remarks at the conclusion of Sunday's performances thanking Ford's Theater and the artists. She also congratulated this year's recipients of the Lincoln Medal. The annual award is given to individuals whose body of work and accomplishments embody the legacy of the 16th president. "I was honored to be part of such a special evening," the first lady said in a statement released by her office. "Tonight reminds all of us about the power the arts have in cultivating the American voice." 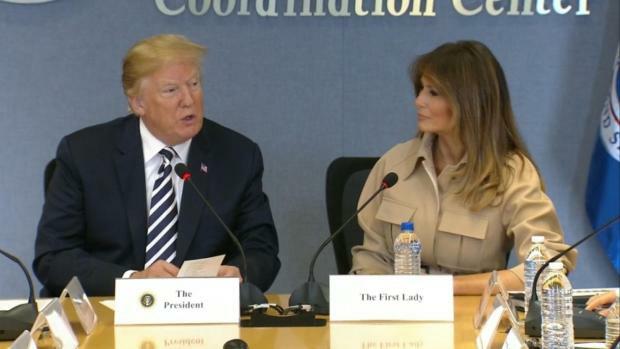 Mrs. Trump recently resumed a public schedule after a lengthy absence following surgery last month to treat a kidney condition. Her office didn't inform news organizations that she had attended until after the event. President Donald Trump and his wife attended the Ford's event last year. She participated Sunday without Trump; he's in Singapore preparing for his meeting Tuesday with North Korea's leader.